Glenn Elert is a physics teacher from Brooklyn. He and his students did a little research recently, and published a serious paper reporting their findings. How serious? Mushroom Kingdom serious. Yes, Ebert has wisely forgone teaching his kids about gravity the boring/realistic way, and instead decided to chart the gravity in the Mushroom Kingdom. So he and his students took each Mario game, tracked how long it took Mario to fall from a pre-determined height, and charted the results. 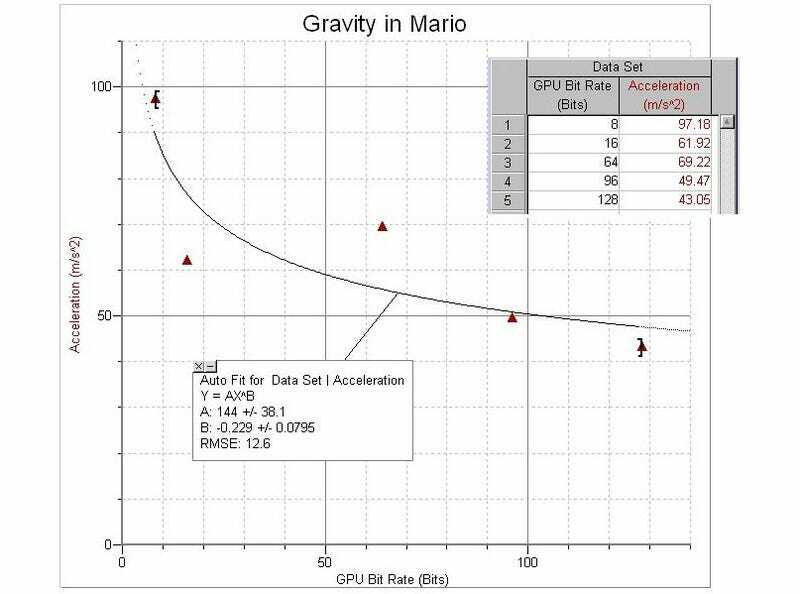 They found that, with each passing Mario game, the Kingdom's gravity gets closer and closer to matching that found in the real world, though it should be noted that the plumber's rate of descent "even on the newest consoles, is still extreme".